Home › All products › All Products › Big baroque freshwater pearl pendants to wear on "Drop Hoops"
These pendants are made with baroque freshwater pearls ca 17mm long. Every pearl are unique in shape. The pendants are exchangable and made to wear on Drop Hoops. 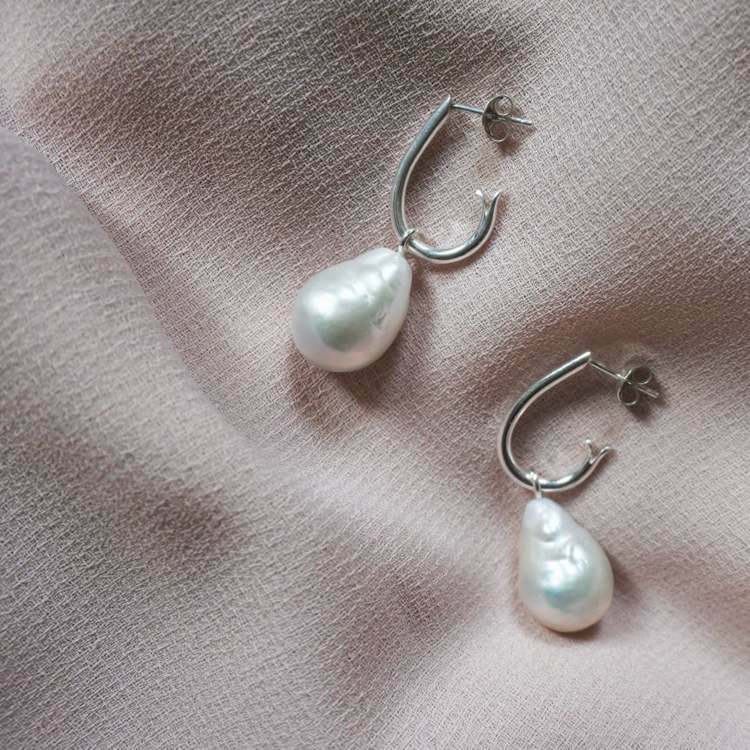 The earrings "Drop Hoops" are made in 925 sterling silver with big baroque freshwater pearl pendants. The hoops are 2mm thick & ca 20mm long. Sold in pairs. These earrings are ready to be delivered and will be sent to you within 2-5 working days.